Dr. Mark Lehner is Director and President of Ancient Egypt Research Associates, Inc. (AERA). His nearly forty years of archaeological research in Egypt includes mapping the Great Sphinx and discovering a major part of the ‘Lost City of the Pyramids’ at Giza. 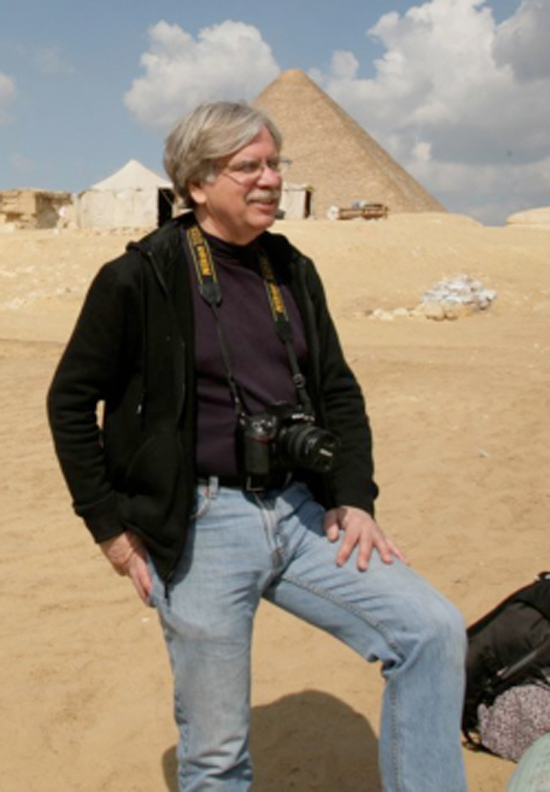 Lehner directs the Giza Plateau Mapping Project (GPMP), which conducts annual excavations of Old Kingdom settlements near the Sphinx and Pyramids with an interdisciplinary and international team of archaeologists, geochronologists, botanists, and faunal specialists. From 1990-1995 Lehner was Assistant Professor of Egyptian Archaeology at the University of Chicago. He is now a Research Associate at the Oriental Institute of the University of Chicago and a Senior Fellow at the Capitol Archaeology Institute of George Washington University. Lehner was born, raised, and began his college education in North Dakota. He went to Cairo in 1973 as a Year Abroad Student at the American University in Cairo where he received his B.A. in Anthropology. He lived in Egypt for 13 years, working for American, Egyptian, British, French, and German archaeological projects. From 1979 until 1983, he was the Field Director and then Director of the Sphinx Project sponsored by the American Research Center in Egypt. 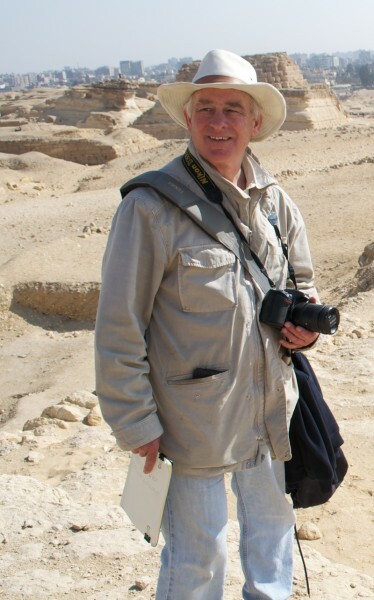 In 1984, he began the Giza Plateau Mapping Project (GPMP), sponsored by ARCE and Yale University where Lehner received his PhD in Egyptology in 1990. In 1985, he founded AERA with Matthew McCauley. In 1988, the GPMP began to excavate in search of the settlement and infrastructure that supported the pyramid work force. In 1995 AERA assumed financial and administrative responsibility for the GPMP. AERA’s interdisciplinary team has been discovering more of the Giza pyramid builders’ urban administrative center including workshops, storage buildings, bakeries, and barracks. In 2011 AERA became an NGO registered with the Egyptian government. Lehner has appeared on television in National Geographic’s Explorer program, and on NOVA’s Riddles of the Sphinx, and Secrets of Lost Empires series on ancient technology including This Old Pyramid and Obelisk. He is author of The Complete Pyramids, published in 1997 by Thames and Hudson. His work has appeared in articles in National Geographic, Smithsonian, Discover and Archaeology. Richard Redding is a Research Scientist at the Kelsey Museum, University of Michigan, as well as, a principle investigator in Archaeological Projects in North Africa, the Middle East, and Asia. He is also the Chief Research Officer (CRO) of the Ancient Egyptian Research Associates. Dr. Redding received his Bachelors, Masters and bi-departmental PhDs at the University of Michigan (1981). His doctorate was bi-departmental in both Anthropological Archaeology and Biological Sciences. He has taught at Hamilton College, Wellesley College and Oakland University. Dr. Redding was also the Director of Science at Cranbrook Institute of Science (1986-1991) before returning to the University of Michigan in 1993. Dr. Redding’s investigations, excavations, and surveys have taken him all over the world seeking an understanding of the origin of food production and the evolution of complex societies. He has excavated in Iran, Iraq, Turkey, Kenya, Tanzania, Egypt, Armenia, Georgia, China, Israel, Mexico, Wyoming and Michigan. As an educator, he is deeply committed to teaching young archaeologists and students in the US, China, and Egypt. Recent teaching has focused on Complexity Theory in Archaeology, Pastoralism and Archaeozoology, which is his specialty. Dr. Redding publishes articles and reviews annually. His works appear in multiple books, journals, and scientific magazines. His most recent manuscript submitted is titled, “The Pig and the Chicken: the Introduction of the Chicken in the Middle East and its Relation to the Evolution of the Human Prohibition on Pig Consumption.” Other recent articles published are results of his work at the Pyramids at Giza and the Giza Mapping Project. Other recent works catalog his work in Iran, Turkey, China, Greece, and Anatolia. Dr. Redding first worked in Egypt in 1981 in the Fayyum Depression. He has also worked in the Eastern Desert of Egypt, Luxor, the Nile Delta and Giza. He was co-director in 1984, 1986 and 1988 at the Old Kingdom site of Kom el-Hisn, a village in the Nile Delta. Since 1989, Dr. Redding has been involved in excavations at the Lost City of the Pyramid Builders. He has spent every winter in Egypt since 1997. Dr. Redding is on the Board of Directors of the Ancient Egypt Research Associates (AERA), the Managing Board of the Wiener Laboratory at the American School of Classical Studies in Athens, and a member of the International Committee of the International Council for Archaeozoology (ICAZ). Dr. Redding, an avid bicyclist, lives with his wife, Cheri Alexander, in Ann Arbor, where she is also on staff and teaches at the Ross Business School. They have one daughter at Harvard. For more information about Dr. Redding, please visit richardredding.com. 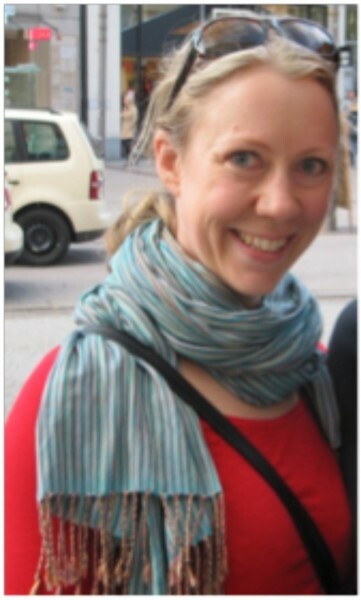 Freya Sadarangani has worked for AERA since 2004. She is currently working as their Post-excavation Manager and also as an Area Supervisor and Field School Tutor during field seasons. With AERA she has worked in Giza, Memphis and Luxor. Freya started work as a contract field archaeologist in London in 2000, where she worked for some six years. In 2003 she got hit with the ‘working abroad bug’ and got involved with a number of research projects, which took her to Iceland, Turkey and of course Egypt. Her involvement in Egyptian Archaeology began in Saqqara, working for the Egypt Exploration Society. Freya has worked on a variety of sites: from Viking boat burial in Iceland, to Neolithic Tell site in Turkey, to Moche Huaca (pyramid) in Peru, to medieval cesspits in London. Freya has an MA in Archaeology from the Institute of Archaeology at University College London. 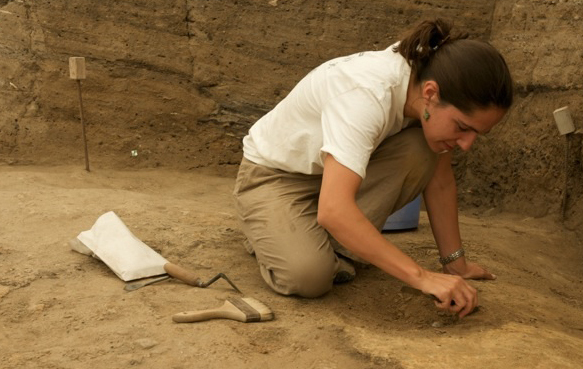 Dr. Claire Malleson is currently working as Archaeo-botanist and manager of the AERA Lab on the Giza plateau. She used to be a technical manager and lighting designer for contemporary dance companies touring internationally, but after a visit to the British Museum in 1998 Claire became fascinated with Egyptology, and subsequently hooked on Archaeology after volunteering and training on excavations in the UK. She studied Egyptology in evening-school at Birkbeck College in London and then in 2002 she left her career in dance and chose to pursue Egyptian Archaeology. She completed an M.A in Egyptology at the University of Liverpool in 2005, and continued her studies there, recently receiving her doctorate. Her primary research interests generally revolve around Ancient Egyptian agriculture, nutrition and food production, but she has a keen interest in all ‘daily life’ activities including craft technologies and settlement studies, as well as archaeological methodology. She has taught many undergraduate classes, and run several continuing education courses and day-schools in Liverpool University, covering topics such as ‘People of Hapi: Daily Life in Ancient Egypt’, ‘Ancient Egyptian Technology at your hands’, ‘Life, Prosperity and Health; An introduction to Ancient Egypt’, ‘Excavating Ancient Egyptian Towns: Settlement Archaeology in Egypt’. Claire is also a regular speaker for Egyptological societies in the UK. Claire trained as a field archaeologist in 2000-2002 with the Sedgeford Historical and Archaeological Research Project in Norfolk (UK) where she developed an interest in environmental archaeology. She pursued that interest further during 2005-2008 when she worked as environmental archaeology assistant for English Heritage and Chester Archaeology on the Roman Amphitheatre excavations in Chester. Claire took that interest further when she joined AERA in 2007 training as Archaeo-botanical assistant with Dr. Mary Anne Murray. Since then she has worked as Archaeo-botanist for several missions in Egypt including the University of Durham at Sais, University of Warsaw in Tell el-Retaba and Trinity International at Tell el-Borg. She has also worked as archaeologist for the University of Liverpool at Zawiyet Umm el-Rakham and Medinet el-Ghurob, and for the Egypt Exploration Society at Tell el-Mutubis where she also acted as deputy Director. In 2008 she was the recipient of an Egypt Exploration Society Centenary award to conduct survey around Medinet el-Ghurob. Her current research for AERA involves a detailed botanical analysis of ash deposits within a house in the Khentkaues Town complex. She is also working on a longer term project in collaboration with Dr. Redding, looking at the plant-food economy of the Old Kingdom. Claire is a qualified fitness instructor and nutritional advisor, and is a fitness freak! She has completed several 10km races and 2 triathlons, placing third (female) in the 2012 Fleetwood Olympic distance event. 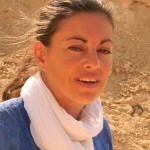 Ana Tavares has worked in Egypt since 1987, where she is currently AERA’s co-Field Director. Until 2002 she alternated projects in Egypt with salvage archaeological projects in London, southern France and Beirut (Lebanon). She studied Egyptology and Ancient History at University College, London, and specialised in archaeological illustration and surveying. She was the Henri Frankfort Fellow at the Wargurgh Institute (London) in 1993, and ‘chercheur associe’ at the ‘Centre de Nationale de Recherches Scientifiques’ (CNRS – URA 995), Paris in 1994. From 1995 to 2001 Ana worked as an archaeological surveyor in salvage archaeological projects in southern France for the ‘Association pour les Fouilles Archéologiques Nationales’ (AFAN). 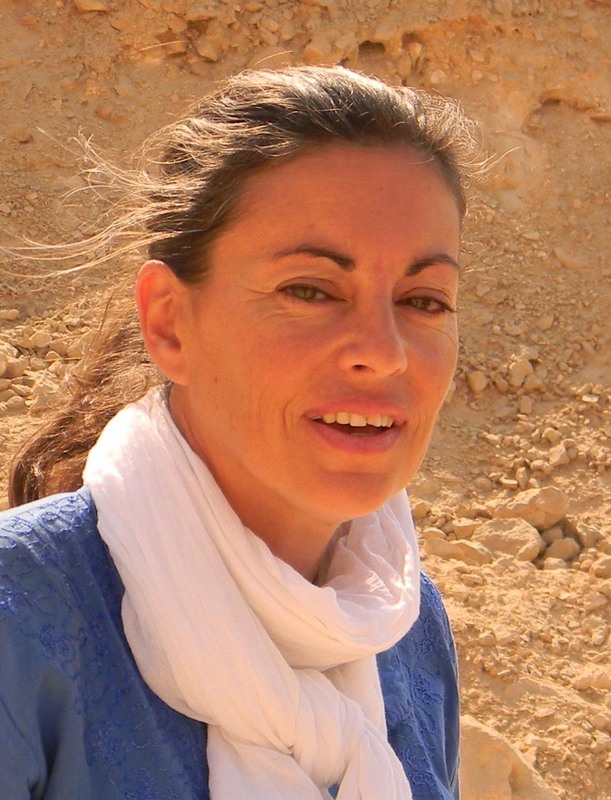 Ana has taught in the field since 1991, in Egypt, Beirut and Antibes (France) and lectured in Egyptology for the University of London, the Horminan Museum (London), and Lisbon University (Masters). Her work in Egypt included excavations and survey of Early Dynastic royal tombs; animal catacombs and temple structures; New Kingdom private tombs; New Kingdom and Middle Kingdom settlements; a Saite palace; and workmen’s houses in the Valley of the Kings. Since joining AERA in 2002 she has worked at Giza, Memphis, Thebes and Aswan, in projects ranging from settlement excavations, remote sensing and survey, to experimental archaeology /conservation. Ana was involved in the development and integration of AERA’s archives, database and GIS, and works in the field as surveyor and objects’ registrar. Since 2005 she has developed and co-directed, with Mohsen Kamel and under the overall direction of Dr. Mark Lehner, AERA’s field school program for antiquities inspectors. AERA’s program comprises Beginners, Advanced, Salvage and Analysis and Publications Field-schools. AERA’s Archaeological Field Training (AFT) has recently expanded to include foreign students. Ana has published in Egyptological journals (Mittelungen des Deutschen Archäologischen Instituts, Abteilung Kairo and the Journal of Egyptian Archaeology) and since joining AERA has lectured to popular and academic audiences on diverse aspects of AERA’s projects. She is currently working on a PhD on the urbanism of the Heit el-Ghurab and Khentkawes settlements, at the University of Cambridge (England).